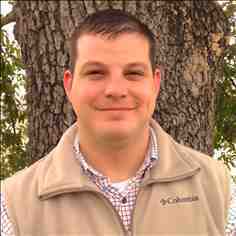 Love of nature and wildlife come naturally for Matt, being born and raised in Minden, Louisiana in close proximity to the Dorcheat Bayou and Kisatchie National Forest. As a boy, he had the opportunity to hunt and fish, instilling in him the importance of protecting the environment and preserving the land. Attending the University of Arkansas at Monticello, Matt obtained his BBA degree in marketing and sales management while participating in baseball for five years. As a student in Arkansas, he spent many weekends at hunting leases fishing and hunting on the Mississippi River near Lake Village. After graduating, he returned to his hometown and married his childhood friend, Paige Bolin. In addition to his career as a Bossier City fireman, Matt has also gained thirteen years of sales and management experience. Matt’s love for the outdoors and commitment toward land preservation makes him a valuable team member of Mossy Oak Properties of Louisiana.